For the most part, we don’t lose reading time because we don’t have enough time; we don’t read as much because of how we manage our time. With all this in mind, one of my goals for 2018 has been to prioritize reading. I’m not going to pretend like I’m one of those people who reads 24/7 and gets through 200 or 300 books per year, (If that’s you, you are amazing! Keep up the good work!) 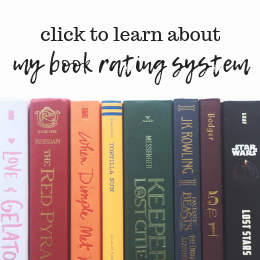 but I do think I’ve found some tricks since the beginning of this year that have helped me start to make my reading more of a priority, and in this post, I’m going to share them with all of you! 1: Set aside reading time before you go to bed each night. Reading in bed has always helped me settle down before I go to sleep, and allocating some time for reading before lights-out, even if it’s just 10-20 minutes, is a great way to work reading into your daily routine. If you normally go to bed at 10:30, tell yourself, “I’m going to get ready for bed at 10, and then I’m going to read for 20 minutes.” Easy, right? 2: Always carry a book with you. 3: Put your phone away. This one is relevant not just for reading, but for life in general. How much time do we spend doing pointless stuff on our phones when we could be reading books? (This sounds like something a persnickety great-grandparent would say, but seriously, it’s true.) I use technology more than I would like, and cutting down on that time is definitely something I’m working on! The less pointless screen time we have, the more time we have free for other stuff like reading. 4: Leave a book next to your bed. If tomorrow is an off day for you and you know you won’t have any morning commitments, you can sort of trick yourself into reading as soon as you wake up. If you leave a book right beside your bed, it’ll be the first thing you see when you wake up. In my experience, this is a great reminder to get some reading in, and I love reading in bed in the mornings. 5: Read in the shower. Still not sure if I’m 100% on board with this idea, but it’ certainly an interesting proposition. If you’re interested, I highly recommend checking out this tutorial where booktuber Christine explains how to read in the shower (in a very humorous way, I might add). Just make sure you don’t get too caught up reading, as you don’t want to waste water! You could also opt for reading in the bath if you’re less of a daredevil. 6: Listen to audio books. 7: Read during your commute. Like I mentioned above, audio books are a great option if you’re driving. If you take public transit like me (or if you uber, take taxis, etc.) then you can also try reading a regular book. Just make sure you don’t get motion sick! Personally, I’ve found that I feel really sick when I read in the car, but I’m usually fine when I read on the train, but this is different for everyone. 8: Only read books you actually enjoy. This last one is SUPER IMPORTANT. Not only is it just pointless to read a book that you don’t like (unless you have to read it for school or something—then it’s not pointless), but forcing yourself to read certain books risks slowing down your reading progress. If you aren’t enjoying a book, consider reading a different one. You’ll feel a lot more motivated to pick up a book if you’re liking it, and thus, you’ll get through books faster. It’s important to remember that the point of reading for pleasure is to read because it makes you happy, so it doesn’t make sense to force yourself to read books that you don’t want/need to read. I am certainly guilty of this, and we all need to remind ourselves that our happiness is so much more important than finishing books we don’t like. Do you have any more tips for how to read more? Please comment them below—I’d love to get some more ideas! Thanks for reading! I love reading before bed too. And that’s a good idea to leave a book at work! Thanks! Yes, me too!! I love being able to settle down with a book before I go to sleep, and reading in the morning is always great too.